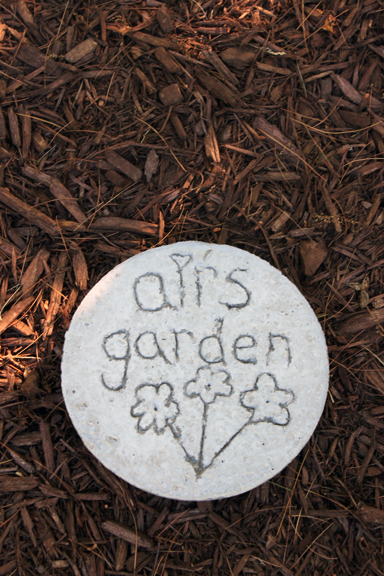 One of the simplest and cheapest ways to add character to your yard is with stepping-stones. 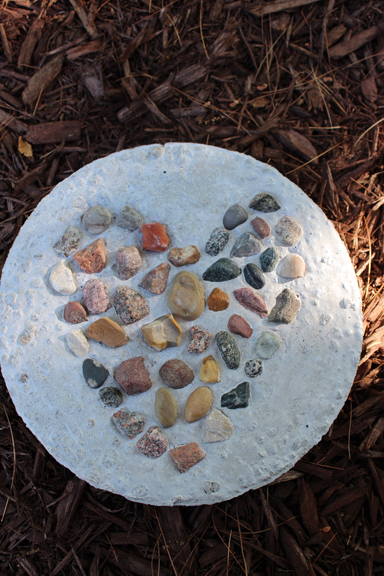 The possibilities are endless when it comes to designing your stones. I wrote on mine with skewers and also placed stones on them from Lake Michigan. I also decided that I would be making more this weekend to use as Christmas presents for family. You will want to go over what your write a few times during the next few hours to make sure it's legible. Those are so cute!! I've been meaning to do this with our kids. We have a kit that one of our boys got for a birthday. Love it! LOVE this idea!! They turned out so well!